I have a red diecast and am looking for midnight blue. Where did you get it? If anyone has a die cast in midnight blue, I'm in search for one! Maisto put out an OPEL GT in black way back when. Very hard to find these days. 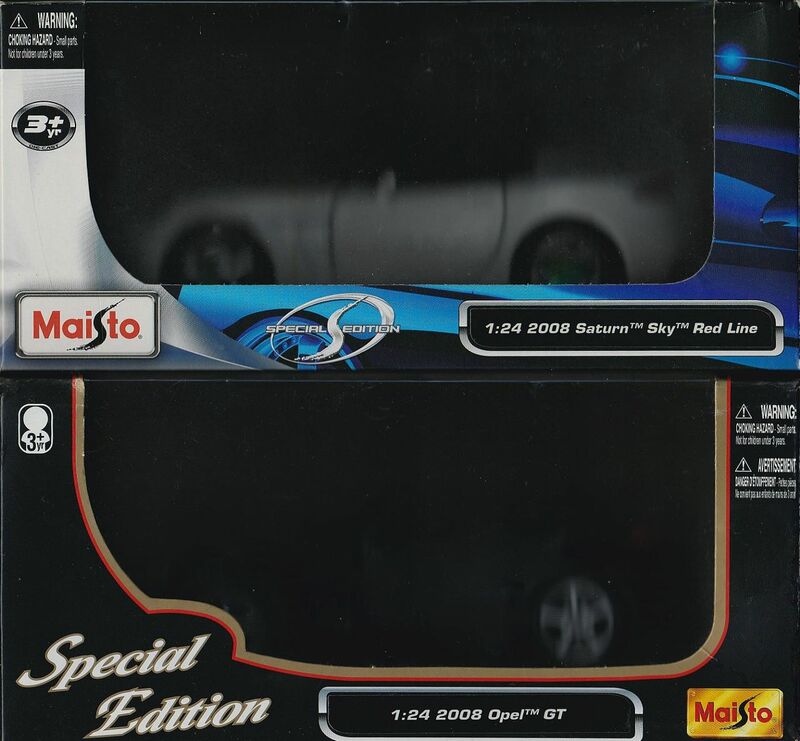 FWIW, I have an Opel GT 1:24 2008 in Green. I am very interested in the diecast. Just let me know what to do? I Need a RED diecast SKY. do you take PayPal? and take PayPal I will pay now. It might help a little if you address the forum member your note(s) are intended for. I'm not sure from the posts who you might be talking about. Ebay has a Red and Midnight Blue for sale as of this morning. I had also spotted them on eBay and put a bid against both. I had done this before seeing your post, as I had signed up for eBay alerts for these items. My Sky is gray, but didnt think I would find one in that color. These were listed at $50 each plus $14 shipping. If someone wants one, just notify me here and then outbid me. I dont really want to pay that much but figured a 'new, in the box' edition will become rare over time.